Pinterest Items I Plan to Make!!! I spend way too much time on Pinterest. I find my self looking at it on the computer and on my phone. 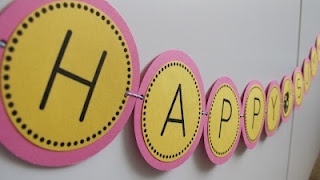 So of course I have find items I would like to make for my classroom. Below are some of the items I plan to make for the new school year. 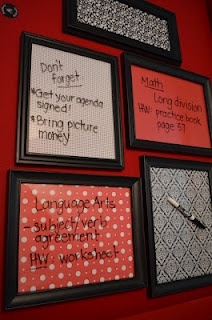 I am going to make these dry erase photo frames. I plan on using white frames with the zebra theme. I'll post pictures when I get them done. I am decorate my clipboards like this. I plan on using zebra themed duck tape. I'll post pictures when I get them done. I plan on using the great template they have provided on the link(click on picture) to create a banner for my classroom. I think I 'm going to have my banner say "Welcome to Reading Class" or "Reading Rocks". Which one do you think I should do? I'll post pictures when I get it done! What projects are you going to be doing this summer? I have so many going on at once. I really need to stick to one, but I believe my ADHD is not letting me. Love Reading Rocks! 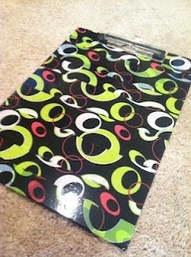 I plan to buy clipboards for my students and try using scrapbook paper to mod podge them! I leaning toward the "Reading Rocks. I would love to see how they turn out!